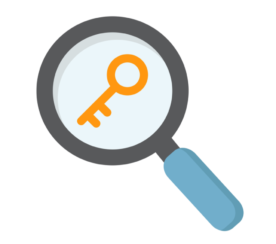 There are many free tools available for site auditing tests. These free SEO Site Auditing tools provide data that is complementary to paid site auditing tools. These SEO tools are well worth bookmarking regardless of whether you pay for a site auditing tools or not. 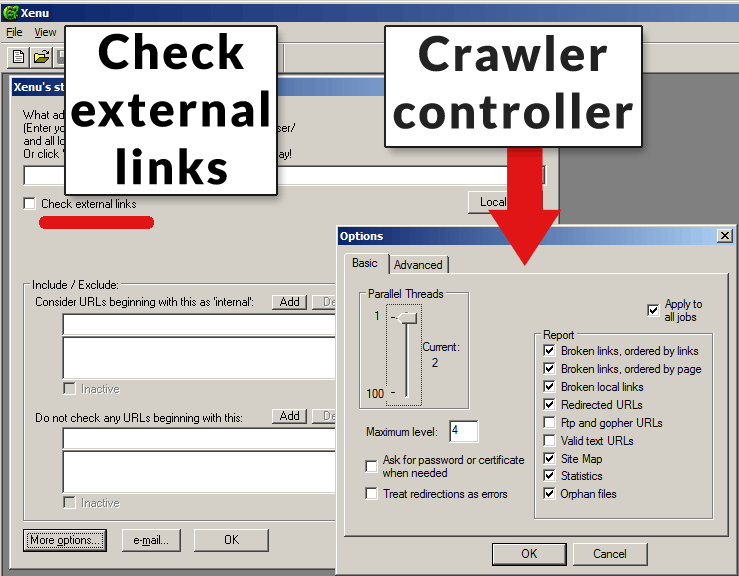 Xenu Link Sleuth is the top choice for a free site crawler. It’s billed as a broken link checker. However Xenu can also output a report that gives you an overview of page titles, orphaned pages, redirects and pages that are not found. Xenu also does what it’s supposed to do, which is to check for both internal and external broken links. Mobile SEO is incredibly important. That’s why it’s important to be able to test what a search engine results page (SERPs) looks like in virtually any city in the world. It’s also useful to be able to check what your web page looks like in the most popular mobile phones. Pages that look great tend to convert better. Mobile Moxie provides a fully functional Mobile SEO Tools. 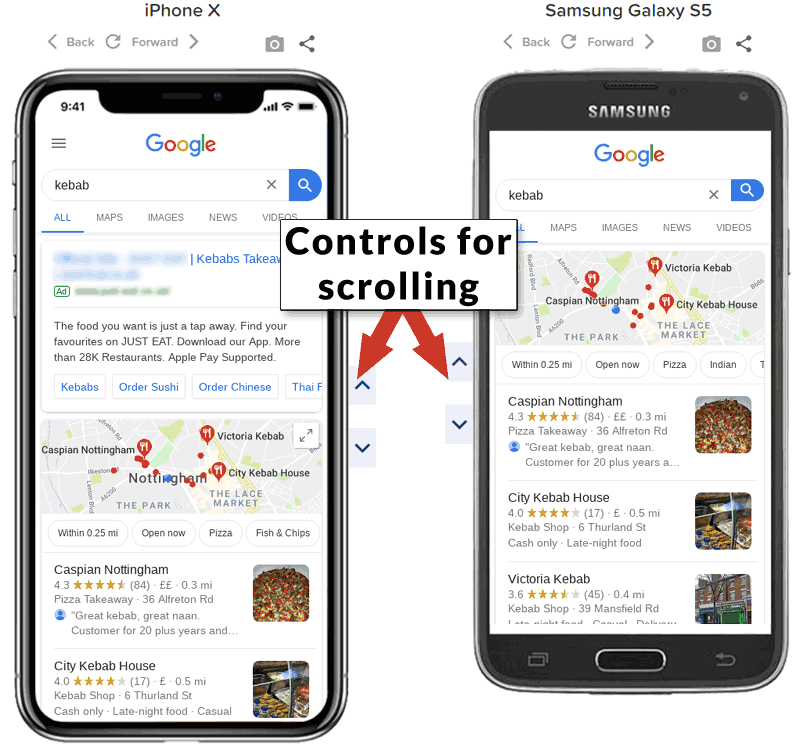 The Mobile Moxie SERPs checker shows you what the rankings looks like in a huge selection of mobile phone screens. What makes this tool especially helpful is that it can localize to any city in the world. Thus, you can test what the mobile rankings are for someone located in any city in the world. This is great for local SEO or for client work where you’re not located in the client’s area. There is also a Mobile Web Page Checker that can show you what your web page looks like in virtually any mobile phone. This will help you optimize your web page so that it converts the best across a wide range of mobile phones. The tool is fully functional and can be used for free three times. The Mobile SERPs Tester shows side by side comparison of what your SERPs looks like in virtually any mobile phone. You can also scroll through the local SERPs for any city in the world in virtually any language of your choosing. Many SEOs don’t consider security as part of an SEO audit. Security only becomes an issue after a site’s been hacked and the rankings dropped. In my opinion, website security should be a component of an SEO audit. A secure website is a major part of how well it ranks and encourages sales. That’s why I include a thorough security audit with every site audit I perform. This tool checks if your website is listed on any blacklists. Being blacklisted can be an indication that your website is or was compromised. Being blacklisted can have a negative impact on the deliverability of your emails. That in turn impacts your email marketing and link building outreach. If your site is no longer compromised, knowing that the site is blacklisted will help you contact the blacklist to have your site removed. This free vulnerability scanner offers a quick but comprehensive scan of potential issues. Create the report then research whether or not your site has issues that need fixing. WPScans.com is a useful tool for beginning a security audit. The SSL Labs Security tool will spot misconfigurations and security holes in your HTTPS certificate implementation. Adding a server security certificate is touted as being easy. But that’s not always the case. This useful tool will help you diagnose hidden issues. This comprehensive security scanner will highlight common issues with a Drupal based website. The GZip Compression tool checks if your site is using GZip compression. Using compression allows your server to download your web pages quick. The free YSlow Performance Audit tool is a comprehensive performance audit scanner. It creates a report of 23 performance rules. The free Siteliner duplicate content tool is a scanner provided by CopyScape (an anti-plagiarism service). Siteliner is a good tool that can catch thin pages. Because the scanner counts navigation and footer content, a thin page will be highlighted by the tool. If a thin page exists, Siteliner will find it for you. The scanner is limited to 250 pages. Nevertheless, it is useful to alert you to a possible problem with thin pages. The Worldwide Web Consortium is the organization concerned with creating HTML standards. 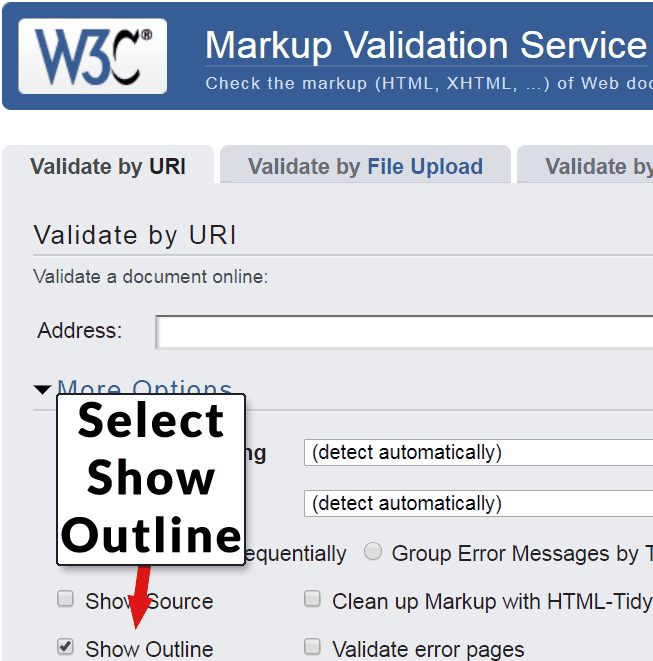 The W3C Validator is a tool that checks whether the HTML is valid but it does so much more! Tick the “Show Outline” option in order to see how your heading elements look to a search engine. The results can be eye opening and reveal issues with your website template. The validator isn’t 100% reliable. It occasionally returns incomplete reports due to do perceived coding errors on the sites it is evaluating. Tick the box to show outline and the free HTML validator will show you what your heading tags look like to Google. GTmetrix Speed and Performance Audit is another tool that will generate various benchmark scores. Use these scores to understand where your site can be improved. Google offers many SEO related tools. 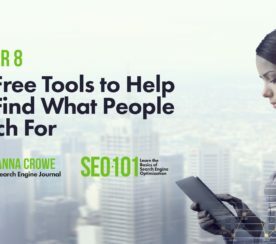 I wrote an article about the top Google SEO Tools. Here is a brief listing. The Google Search Console is very important and is worth mentioning. Here is a partial list of other useful tools provided by Google for auditing and inspecting web pages and websites. Offers web page speed feedback. This tool helps diagnose issues with your structured data. However, just because the structured data validates does not mean it is absolutely correct. Make sure you are following Google’s Structured Data Guidelines. The structured data validator does not verify if your structured data conforms with Google’s guidelines. Making a mistake with structured data could result in a manual penalty. This is the online version of Chrome Lighthouse. Lighthouse is Google’s Chrome Extension. The extension allows you to take advantage of Google’s site auditing tool. Web.dev allows you to do most of the same from a web browser. Web.dev checks performance, accessibility, best practices and indexing issues (labeled as SEO). There are many paid SEO tools that are useful. None of these tools are comparable to paid services and software. However, these free SEO Audit tools complement the paid options nicely and are every bit as useful. 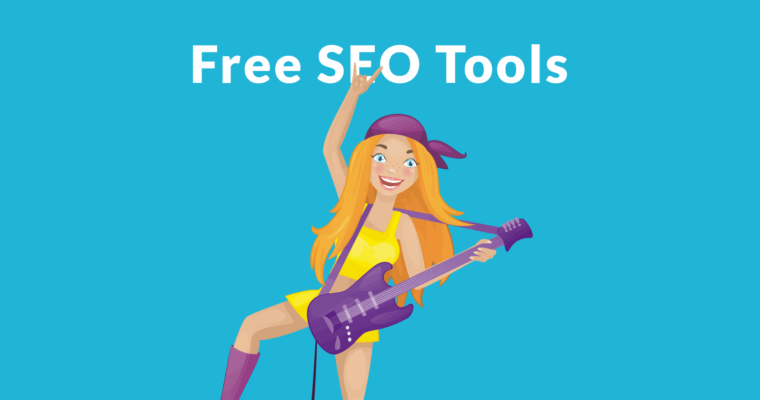 Complete your journey toward becoming an SEO rockstar with these free SEO tools.